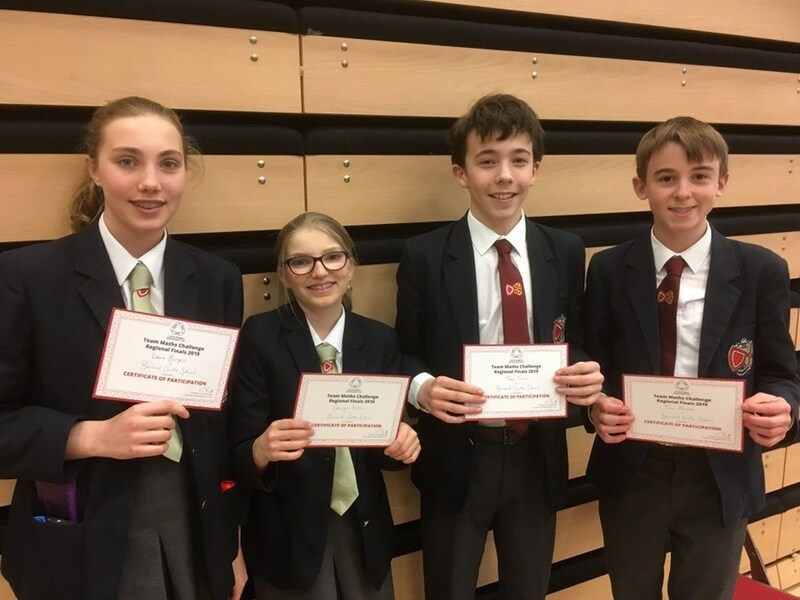 Four of our top mathematicians from Year 8 and 9 competed in the regional finals of the UK Maths Trust Team Maths Challenge at Durham Johnston School. They acquitted themselves very well, working impressively as a team and in pairs over four rounds of competition which tested their numerical fluency and problem solving abilities. In the end, the team comprising Laura, Georgie, Theo and Tom finished a very creditable ninth out of 32 teams.